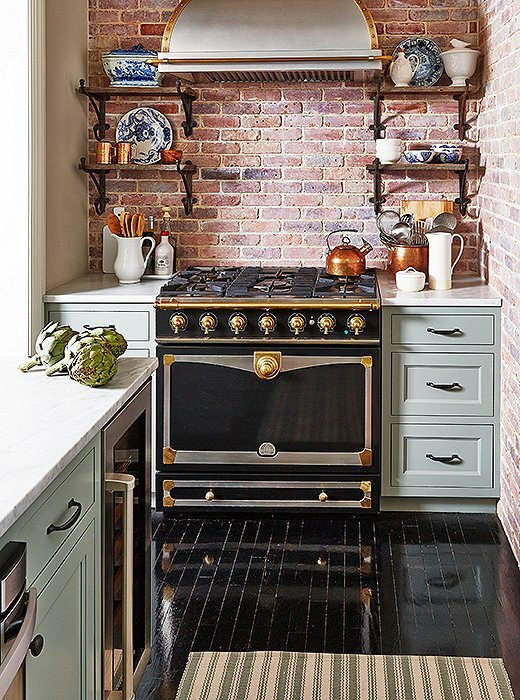 This lovely New York City kitchen is absolutely swoon-worthy! 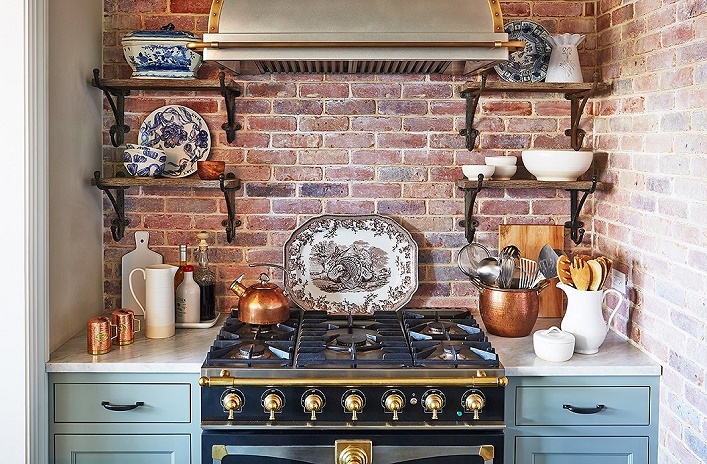 Designed by the talented Jenny Wolf, this kitchen feels surprisingly charming and sophisticated at the same time, thanks to a masterful mix of materials, textures and finishes. 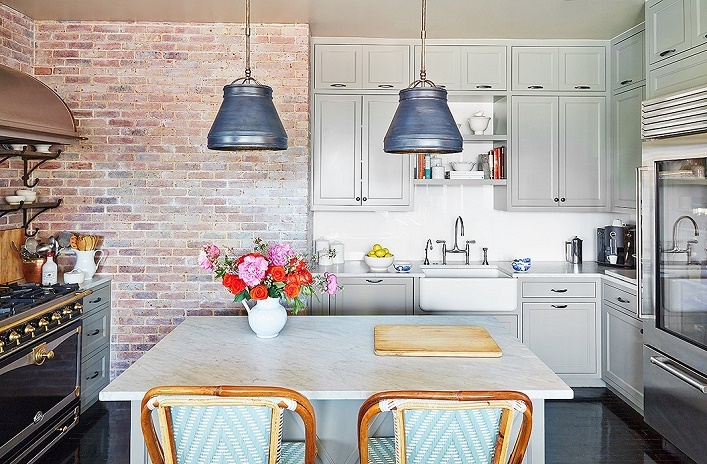 The soft blue and green color palette creates a calm and serene feel to the space while the faux brick wall treatment adds warmth and character. 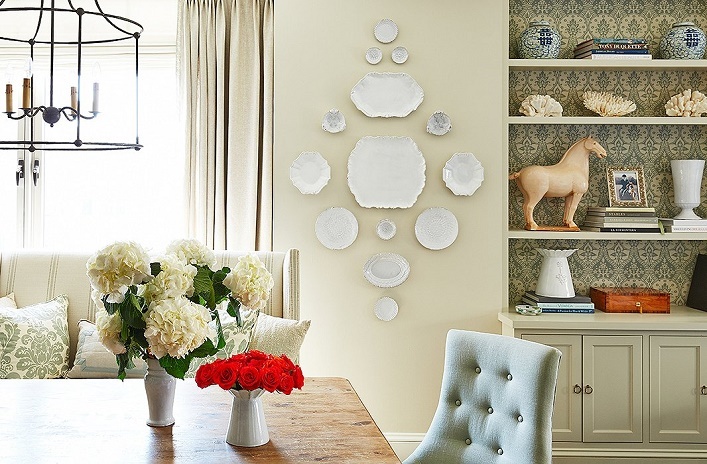 The combination of different metallics is quite unexpected but nevertheless, a delightful touch. The gorgeous stove is a major bonus! I truly adore this beautiful kitchen, how about you? Your thoughts? It's fabulous! Thanks Jessie for sharing this one!